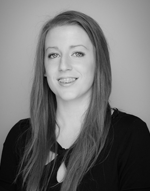 Fiona Barry joined the Healy O’Connor team in 2012 as an experienced Legal Executive. She had four years previous experience in a busy Litigation firm in Cork city wherein she gained extensive knowledge in personal injury litigation. Since joining Healy O’Connor Solicitors she has gained knowledge and experience in other areas of the law particularly in Commercial and Insolvency work. Fiona has quickly established herself as one of the dynamic team and is regularly delegated high value work which she handles with ease. She is personable, approachable and loves a good night out.